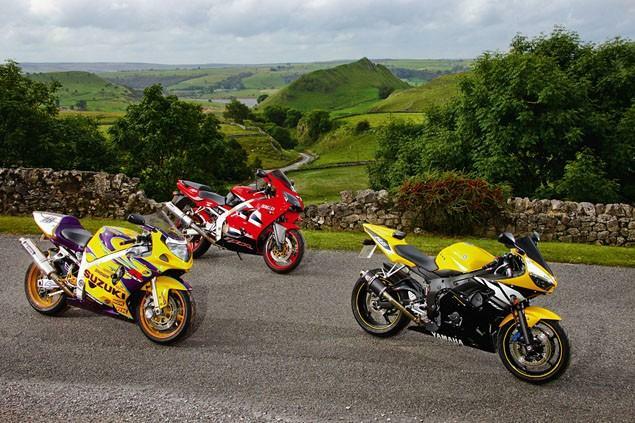 Looking at the current crop of sports 600s it’s hard to believe, but just a few years ago supersport bikes were regarded as the poor man’s superbike. All the cutting edge technology was thrown at the litre bike class and the 600s were considered the budget option. Inverted forks? Not a chance. Radial brakes? Far too much money and as for slipper clutches, well, they were purely for the racetrack. How things change. But are we missing something here? By including all of this technology are 600s losing their fun factor? Have the manufacturers over-egged the performance pudding in a global game of who can piss the highest? For this secondhand test we have delved into the motorcycling archive and picked the three best 600s from a time before the techno boffins took over. Not only are these a bargain when it comes to price, they have far fewer complicated bits to go wrong once the miles start to take their toll. Is the GSX-R1000 going to slog on for another year?